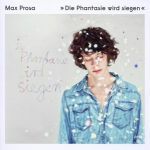 Sensationell! In dieser Hit-Kollektion sind alle großen Erfolge einer der absoluten Kultstars der 1980er Jahre versammelt. Ein Ohrwurm jagt den nächsten und sorgt für allerbeste Laune. Ein Muss für jeden Fan – hier werden Kindheitserinnerungen wach. Als besonderes Schmankerl haben wir die größten Hits von David Hasselhoff als Karaoke Version und deren Liedtexte im Booklet zum Mitsingen dabei! Mit: Looking for Freedom uvm. 1 David Hasselhoff	Gipsy Girl	- 04:07 Min. 2 David Hasselhoff	Casablanca	- 04:11 Min. 3 David Hasselhoff	Crazy For You (Album Version)	- 04:35 Min. 4 David Hasselhoff	Everybody Sunshine	- 04:30 Min. 5 David Hasselhoff	Freedom For The World	- 04:03 Min. 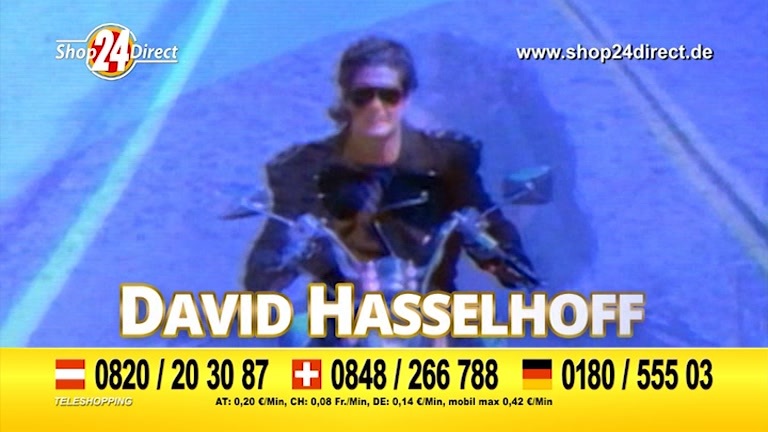 6 David Hasselhoff	Hot Shot City	- 03:51 Min. 7 David Hasselhoff	I Believe	- 03:48 Min. 8 David Hasselhoff	I Wanna Move To The Beat Of Your Heart	- 04:29 Min. 9 David Hasselhoff	Is Everybody Happy	- 04:25 Min. 10 David Hasselhoff	Let's Dance Tonight	- 04:37 Min. 11 David Hasselhoff	Passion	- 04:14 Min. 12 David Hasselhoff	These Boots Are Made For Walking	- 02:46 Min. 13 David Hasselhoff	Raindrops Keep Falling On My Head	- 02:37 Min. 14 David Hasselhoff	Torero - Te Quiero	- 04:01 Min. 15 David Hasselhoff	La Isla Bonita	- 03:30 Min. 16 David Hasselhoff	Save The World - 04:38 Min. 17 David Hasselhoff	Je t'Aime Means I Love You (Radio Version)	- 04:09 Min. 18 David Hasselhoff	Summer In The City	- 04:15 Min. 19 David Hasselhoff	I Feel Your Love In The Air	- 04:17 Min. 20 David Hasselhoff	Knight Rider Theme	- 01:19 Min. 1 David Hasselhoff	Avignon - 03:40 Min. 2 David Hasselhoff	After Manana Mi Ciello	- 03:19 Min. 3 David Hasselhoff	Kiss In The Night	- 03:42 Min. 4 David Hasselhoff	Amore Amore (Elisabeth)	- 03:34 Min. 5 David Hasselhoff	Do The Limbo Dance	- 03:47 Min. 6 David Hasselhoff	America	- 03:41 Min. 7 David Hasselhoff	The Wilder Side Of You	- 03:43 Min. 8 David Hasselhoff	Country Roads	- 03:16 Min. 9 David Hasselhoff	Forever In Blue Jeans	- 03:24 Min. 10 David Hasselhoff	The Girl Forever	- 04:34 Min. 11 David Hasselhoff	Rhinestone Cowboy	- 03:29 Min. 12 David Hasselhoff	Feeling So High	- 04:35 Min. 13 David Hasselhoff	New York, New York	- 03:25 Min. 14 David Hasselhoff	September Love	- 03:56 Min. 15 David Hasselhoff	Lady	- 03:47 Min. 16 David Hasselhoff	Song Of The Night	- 03:59 Min. 17 David Hasselhoff	Darling I love You - 03:52 Min. 18 David Hasselhoff	Let's Spend The Night Together	- 04:05 Min. 19 David Hasselhoff	Hands Up For Rock 'n' Roll (Long Version)	- 05:00 Min. 20 David Hasselhoff	Looking For Freedom - 03:53 Min. 1 David Hasselhoff	You've Lost That Lovin' Feelin	- 04:34 Min. 2 David Hasselhoff	Dance Dance D'Amour	- 03:18 Min. 3 David Hasselhoff	Do You Believe In Love	- 04:56 Min. 4 David Hasselhoff	One And One Make Three - 04:48 Min. 5 David Hasselhoff	Are You Still In Love With Me	- 04:27 Min. 6 David Hasselhoff	Blue Bayou	- 02:29 Min. 7 David Hasselhoff	Taylor Ann	- 03:29 Min. 8 David Hasselhoff	Was It Real Love	- 04:32 Min. 9 David Hasselhoff	California Dreaming	- 02:44 Min. 10 David Hasselhoff	Fallin' In Love	- 03:50 Min. 11 David Hasselhoff	Sheltered Heart - 04:44 Min. 12 David Hasselhoff	Love Me Tender	- 03:01 Min. 13 David Hasselhoff	These Lovin' Eyes	- 04:11 Min. 14 David Hasselhoff	Flying On The Wings Of Tenderness (Radio Version)	- 03:41 Min. 15 David Hasselhoff	Lonely Is The Night	- 03:26 Min. 16 David Hasselhoff	Lights In The Darkness	- 05:13 Min. 17 David Hasselhoff	City Of New Orleans	- 03:30 Min. 18 David Hasselhoff	Yesterday's Love	- 04:17 Min. 19 David Hasselhoff	Foolish Lullaby	- 03:56 Min. 20 David Hasselhoff	Amazing Grace	- 02:58 Min. 1 David Hasselhoff	Hit-Medley	- 07:51 Min. 2 David Hasselhoff	Joined At The Heart - 04:48 Min. 3 David Hasselhoff	It feels so right - 04:21 Min. 4 David Hasselhoff	Keep The Jungle Alive	- 05:52 Min. 5 David Hasselhoff	Somewhere in a dream - 04:11 Min. 6 David Hasselhoff	Voulez vous coucher avec moi (Long Version) - 06:36 Min. 7 David Hasselhoff	You're all I want - 04:10 Min. 8 David Hasselhoff	Is everybody happy (US Remix) - 05:54 Min. 9 David Hasselhoff	Let's Dance Tonight (karaoke) - 04:25 Min. 10 David Hasselhoff	Do The Limbo Dance (karaoke) - 03:53 Min. 11 David Hasselhoff	Gipsy Girl (karaoke) - 04:52 Min. 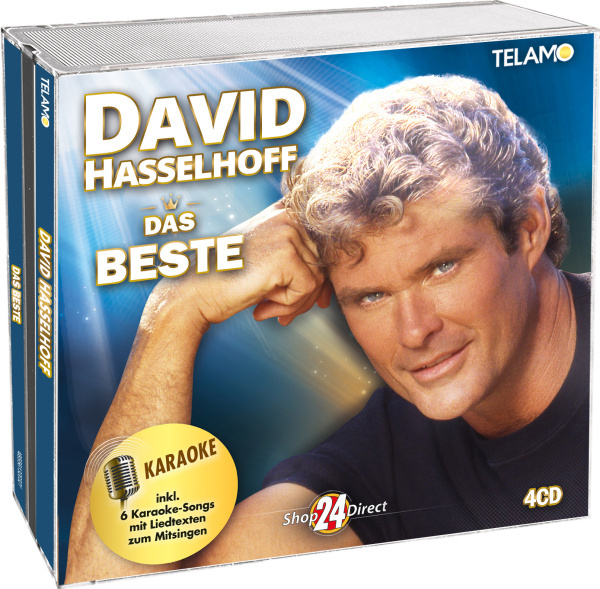 12 David Hasselhoff	Looking For Freedom (Karaoke)	- 03:56 Min. 13 David Hasselhoff	Hands Up For Rock'n Roll (Karaoke) - 05:12 Min. 14 David Hasselhoff	Is Everybody Happy (Karaoke) - 03:45 Min. 15 David Hasselhoff Wir zwei allein	- 04:25 Min.